Robert A. Nowak Heating & Air Conditioning, Inc. Founded in 1980, Robert A. Nowak Heating & Air Conditioning, Inc. is a second generation family-owned and operated heating, air conditioning and refrigeration company serving the Western New York area. What started out as a one-man operation, has now garnered the employment of other family members. The foundation for the company was laid out in the eight previous years where experience was gained in the service department of a regionally large company that specialized in supermarket construction. 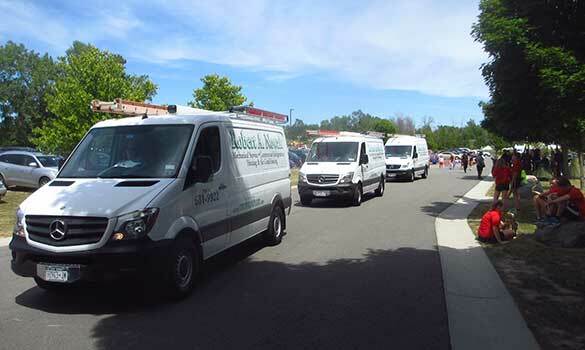 From there, additional experience was gained working as a residential and commercial HVAC company. Our goal is to provide old-school service and craftsmanship at a fair price, bringing pride to this line of service business with fairness and honesty. To back this up, we do not hide behind a name other than our own and are proud of our history of accomplishments. As of January 1, 2017, we have incorporated with the same name by adding the moniker, INC, with the next generation at the helm providing the same attention to detail as provided in the past. The next generation has already brought about many new ideas and services that you can see introduced on our website. Besides participating in our professional organizations, we have been actively engaged in a businessmen professional organization that is over 100 years old that provides charity to worthy causes and scholarships to students. We visit schools to speak to students about considering an HVAC trade, showing the opportunity for a decent salary and consistent employment. We take part in village and town festive activities during the year. We sponsor a yearly car show at our local church. We participate in a yearly Golf Tournament Sponsorship for scholarships. We are members of our local chambers of commerce. The best contractors that my wife and I have dealt with. I would recommend you to all my friends.